Lynne is an associate solicitor in the Property team at Hayes solicitors. She qualified in 2003 and since then has gained vast experience in dealing with residential and commercial conveyancing matters. She has acted for a number of high profile clients including developers, lending institutions, companies and private clients. She advises private clients in relation to the sale, purchase or re-mortgage of their residential property. She deals with all aspects of commercial conveyancing in relation to city centre and nationwide properties on behalf of large corporate clients, receivers, developers and small businesses. Lynne had a wide range of experience in drafting and negotiating commercial leases and also in the preparation of title reviews and due diligence reports on behalf of various lending institutions, receivers and liquidators. Lynne also has much experience dealing with Wills and probate. 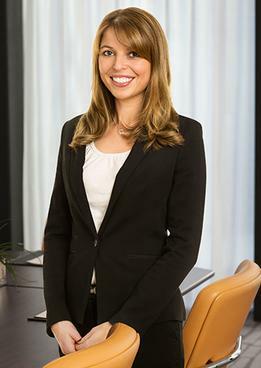 As part of her practice, she advises private clients on all aspects of making a Will. She also deals with the administration of Estates from the outset to completion. Dealing with probate matters and the administration of estates.